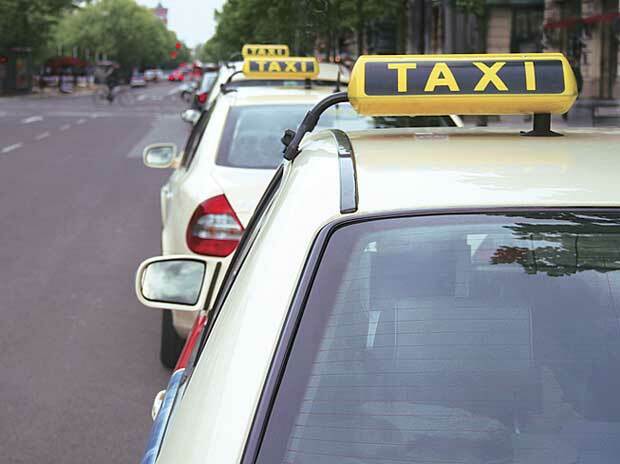 The South China Morning Post recently published an analysis of the 210,000 licensed drivers of Hong Kong’s iconic taxi fleet. Those Toyota Crown sedans are a venerable design, released in 1995. More venerable still are its drivers, nearly half of whom are older than 60. Hong Kong’s taxi drivers are a service sector aging in real time, a microcosm of a service economy going the same way. Hong Kong has no mandated retirement age for its taxi drivers. Hong Kong Transport Department figures also show that only about 15 per cent of them are younger than 50, and more than 8 per cent are older than 70. I was curious to see how taxi drivers’ ages have changed over time, and found a useful proxy: the age of drivers involved in accidents. Driving was a young person’s game in the 1990s, when this data set begins; by 2017, accidents were just off their all-time highs, and the drivers involved were all-time old as well. If we look at those accidents by age group as a per cent of the total, it is even more obvious how old the drivers are. In 1991, 60 per cent of all accidents occurred with drivers younger than 40. By 2017, 60 per cent of all accidents occurred with drivers older than 55. That’s not to say that older drivers are necessarily worse drivers. It’s likely that they are a cross-section of a population that is aging in general, buoyed by the fact that one can drive for longer than one can work in construction, for instance. “If the ageing continues, it will be hard to push for the use of technology and reforms in service quality,” he said, adding that older drivers had a harder time learning how to use their mobile phones for navigation and monitoring traffic. While the total number of taxi accidents has increased, the number of drivers and the number of registered taxis have not changed much in the past 18 years. There were 219,032 licensed drivers in 2001, and 210,524 in 2017. And the number of registered taxis increased by 25 (not a typo) over the same period, to 18,163 from 18,138. The number of private cars on the road has increased markedly in the same time period, however. There are more than 600,000 private cars registered in Hong Kong, an increase of more than 50 per cent since 2001. Hong Kong has the world’s longest life expectancy: 81.3 years for men, 87.3 years for women. It also has an exceptionally low birth rate, as I highlighted in a recent piece on the potential for automating low-speed transport in developed East Asia megacities. Hong Kong’s economy is heavily services-based: In charting the composition of its gross domestic product, it was easier to highlight the components of GDP that are not services. Transport, construction, information and communications, utilities, manufacturing, and Hong Kong’s tiny agriculture, fishing, mining and quarrying sectors make up just 17 per cent of economic activity. Hong Kong’s aging drivers will be an interesting test case, in coming years, for how the city handles its aging workforce. Will we eventually see centenarian cab drivers in Hong Kong? Will young people be attracted to a job that healthy older people are willing to perform as long as they are able? Or will technology play a major role — either in aiding older drivers, or making them less able to do an increasingly connected job?